Giovanni Guidi represents a promising new generation of Italian pianists, a group that includes Alessandro Lanzoni, Claudio Filippini, Domenico Sanna and Enrico Zanisi. Guidi’s strongest work to date is contained in trio albums like City of Broken Dreams and This Is the Day, both on ECM. They reveal an original piano talent, edgier than the lyrical players among his contemporaries, more poetic than the free players and more technically advanced than both. Ida Lupino is a worthwhile experiment but a minor addition to his growing discography. 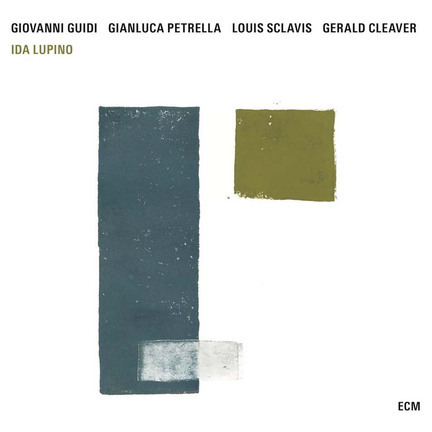 The collective quartet here includes trombone virtuoso Gianluca Petrella, a long-term Guidi collaborator; Gerald Cleaver, a prominent postmodern drummer; and clarinetist Louis Sclavis, who met the other three for the first time in the recording studio. Of the 14 tunes, 12 are attributed to two, three or all four musicians, and are apparently spontaneous studio creations. A few pieces arrive at interesting radical ideas that could have been discovered in no other way. “Fidel Slow” arises gradually from silence, each instrument isolated in space: rumbling drums, a keening trombone, crushed piano chords. It is an atmosphere more than a song, a series of brave forays, soon reclaimed by silence. “Gato!” builds into an ardent incantation. Then Guidi, without warning, transforms it into a quiet reverie, also ardent. But many of the other slowly developing pieces will frustrate even patient listeners. “Hard Walk” and “Zweig” feel like endless random wanderings without arrivals. Sclavis, in his limited contributions, sounds tentative. It isn’t the album the musicians wanted to make, but Ida Lupino would have been stronger with more pieces like the title track. It is one of those Carla Bley songs that gets under your skin. The band barely improvises on it. They don’t have to. Pieced out among their four unique voices, “Ida Lupino” takes on new, portentous finality.